As doctors we are experts in the management of skin conditions such as acne and rosacea. We work with clinically proven skincare experts Obagi Medical, using prescription only treatment systems. This includes the use of chemical peels which is particularly effective for acne and hyperpigmentation / sun damage sufferers. Exfoliate the uppermost damaged skin layers, leaving your skin refreshed, renewed and radiant. PREVENT with Obagi360, Obagi-C and Obagi Nu-Derm Systems. Preserve healthy, younger looking skin, treat photodamage, acne, fine lines and wrinkles. Skin is fresh and glowing. PROTECT Vitamin C serums use anti-oxidant properties to soften skin, prevent photodamage and make skin lighter and more radiant. Obagi’s range of SPF creams are effective against UV (A+B) and IR rays. REPAIR Retinol / Tretinoin. Prescription only topical creams that stimulate collagen and elastin to treat fine lines, wrinkles, age spots and acne. RESTORE EYES Reduction in the appearance of upper and lower eye area wrinkles, laxity and puffiness. Obagi Medical has a range of products that alters how our skin works by affecting basic cellular function. These include tailor made packages for the treatment of moderate to severe hyper pigmentation, fine lines and wrinkles, adult acne, laxity and skin texture, anti aging and correction. The Obagi-C Systems are a gentler product for early intervention with less severely hyper pigmented and photo-damaged skin. This product is aimed at improving the appearance of skin that lacks lustre and it will improve skin tone. Improve texture of skin around the eye area including treatment of wrinkles and puffy eyes. 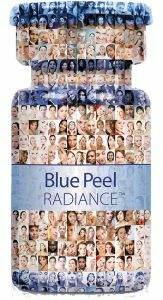 Obagi Blue Peel RADIANCE can improve the look, texture and feel of your skin in a matter of minutes. We can offer single treatments or courses (which provides best overall results) of the Obagi Blu Peel- ‘RADIANCE’. The treatment takes about 30 minutes from start to finish including consultation and comprises of a salicylic acid containing peel. Acne sufferers and those with hyperpigmentation for example, can combine specific tailor made medical treatments with regular peels with a synergistic effect. 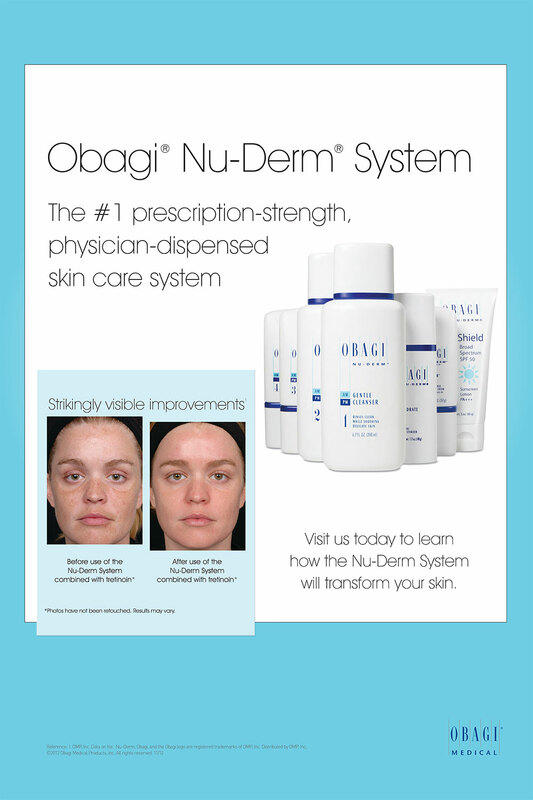 Ask us about the Obagi skin health systems like Nu Derm. The Obagi blue peel radiance can provide instant radiance, tighter, smoother, brighter looking skin after just one treatment. It is particularly effective in the treatment of photo damage. These prescription only topical creams are anti aging and come in a range of different strengths. Retinols stimulate collagen and elastin production. They hydrate skin, exfoliate and fade hyperpigmentation. Uses include skin rejuvenation, treatment of fine lines, wrinkles, age spots and acne. Obagi emoillients are not perfumed with oils, instead they are formulated to hold water in your skin. Again, combined with peels and treatment systems if necessary and of course, daily SPF, your skin will be HEALTHY. Obagi’s range of Vitamin C serums use antioxidant properties to soften skin, prevent photo damage and make skin lighter and more radiant. At Luxira, as medical clinicians, we recognise the importance of ‘skin health’. We understand the science behind the treatments available from us and can help you to decide how best to manage your skin. For all patients– we strongly advise the daily use- all year round -of high SPF cream. Obagi has a range of products that are user friendly and that protect us from UV (A+B) and IR rays, tinted if you prefer and in a format which makes it feel pleasant on your skin. At Luxira we can advise you regarding personalised treatment plans to prepare for a wedding or an event. Get in touch early so that we can ensure that you look and feel fantastic. Combining treatments with the Obagi Blu Peel –‘RADIANCE’ for example, can give an overall more youthful appearance to skin and a glowing complexion.